The fossil record gives clues about how limbs grew from fish fins in a series of stages, but scientists are still trying to fill in the details and determine what genetic changes might have allowed limbs to grow. The scientists published their findings in the journal Developmental Cell. In order to do so, scientists have been trying to reproduce the changes that occurred 400 million years ago, in the Devonian period. 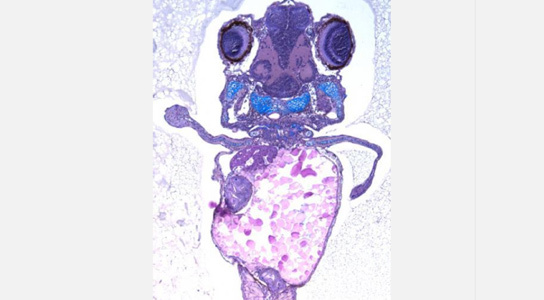 The researchers added Hoxd13, a gene known to play a role in distinguishing body parts during embryological development, to the tip of a zebrafish embryo’s fin. The objects at the ends of the embryo’s fins started to look like autopods, the multifinger proto-extremities that evolved from lobe-finned fish, allowing the first terrestrial evolutionary push. The lab experiments led the researchers to think that some new element in the lobe-finned fish’s DNA is responsible for the growth spurt. 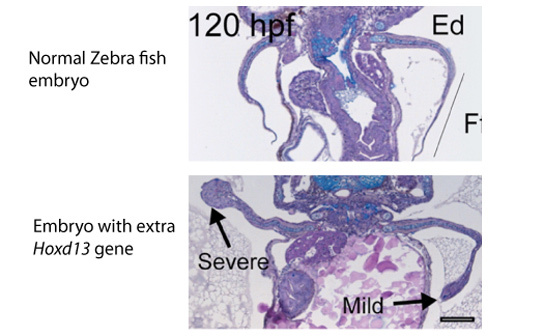 When present, this DNA element could have helped turn the Hoxd13 gene on in the fish embryo’s fins, leading them to lengthen and eventually develop into limbs. 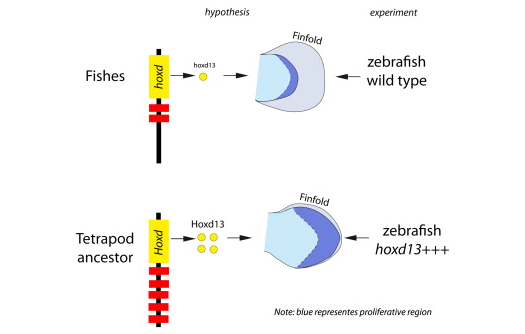 1 Comment on "Geneticists Grow Fish with Limbs to Duplicate Evolutionary Pressure"
Development of fins into multi-finger proto-extremities of zebra fish which is the lab mouse is interesting. This one induced mutation will make its progeny also deformed or evolution proved with limbs to grow. Thank You.